I have always seen in the community life of bees an urban instruction; something that is very close to the motto “unity is strength”. 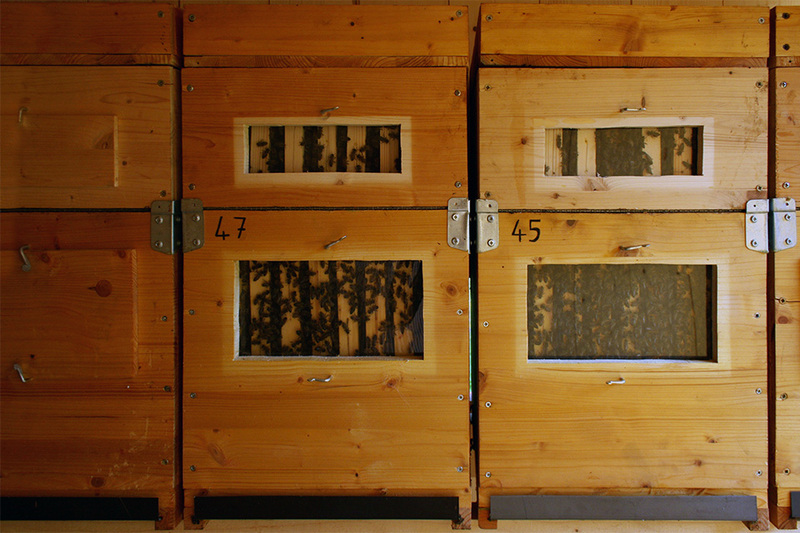 A Bienenhaus is also this: a macrostructure can accommodate more living cells. 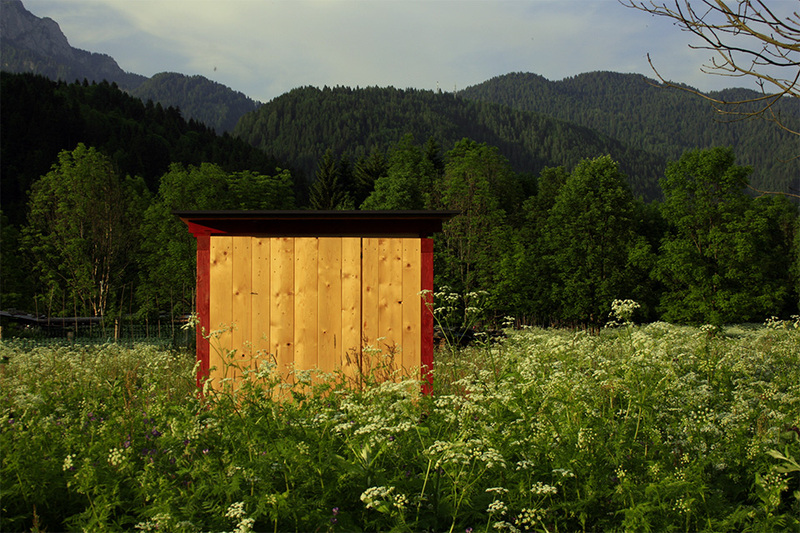 The teaching must have come from the comb itself in those early beekeepers who decided to protect their hives in these small buildings. Personally I see in these rural buildings of architectural and urban references: first of all Le Corbusier with his Unitè d’Abitation and then again with the Arturo Soria’s Ciudad Lineal. 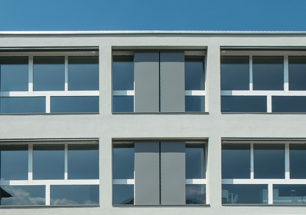 This small architecture from the minimum budget and self-built, a “Kunstwollen” led the composition of facades in their duotone. 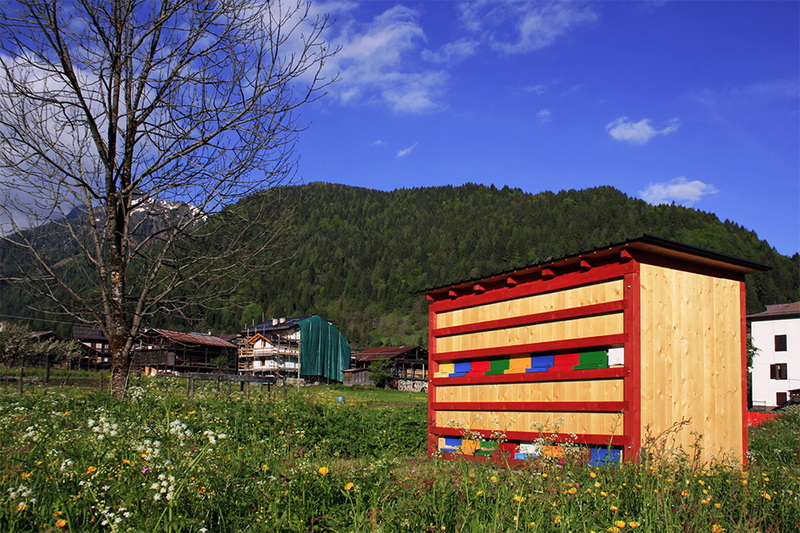 The design has been extended to small hives, designed to fit the alpine climate and then painted with bright colors to help the orientation of bees. 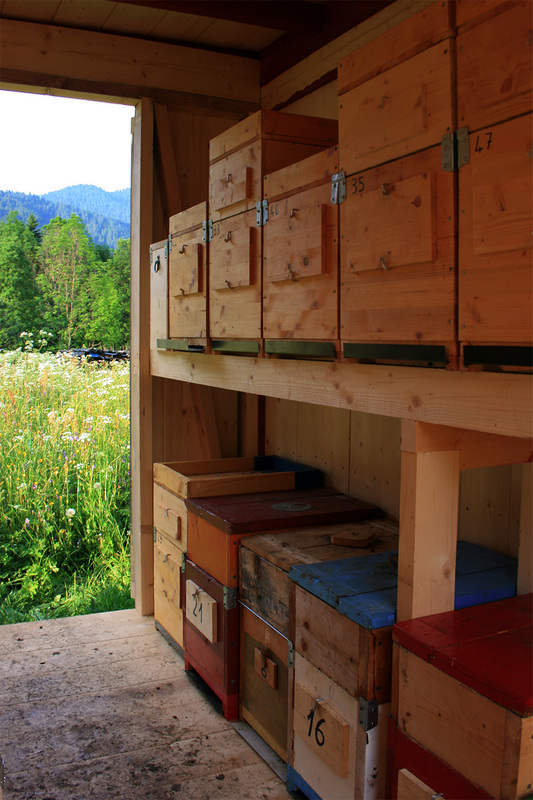 Data: 6.5 square meters, 15 cubic meters volume built, 700 euro of materials, 16 hives inhabited by 120,000 bees that produce on average 200 kg of honey / year. 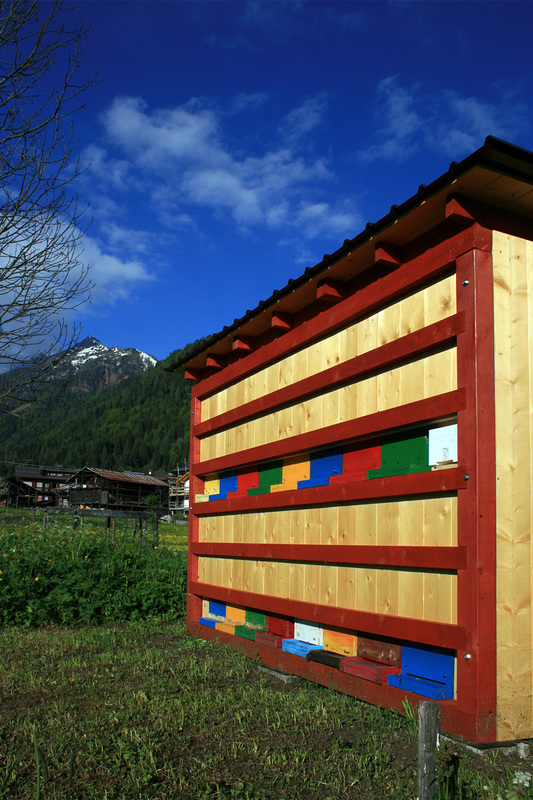 The German word Bienenhaus literally means “house of the bees.” These small wooden buildings are spread throughout the Alps and they are born with the aim to protect the hives from cold and bad weather. they are building blocks, placed near the main house and have elongated rectangular plan. This is to allow to dispose along the facade facing south the most hives, aligned on one or more files replies on each other. 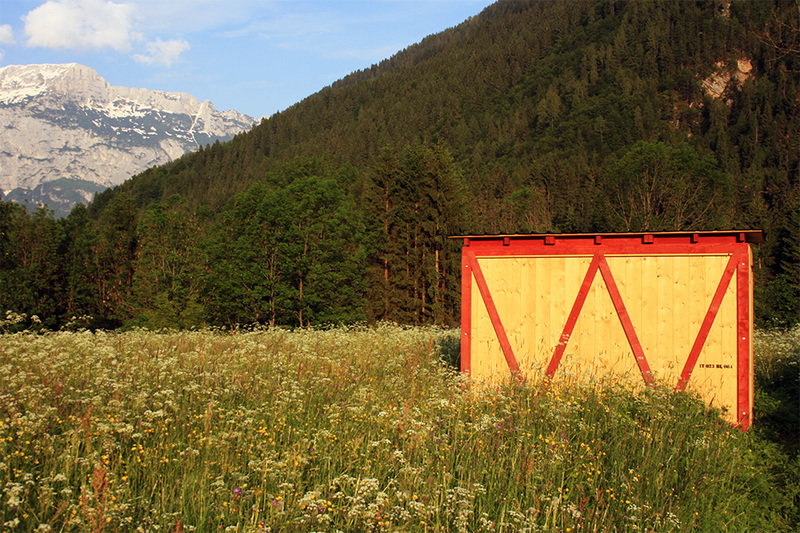 The frame system that characterizes traditional rural buildings of the Alpine valleys is reinterpreted by the project in a contemporary way. 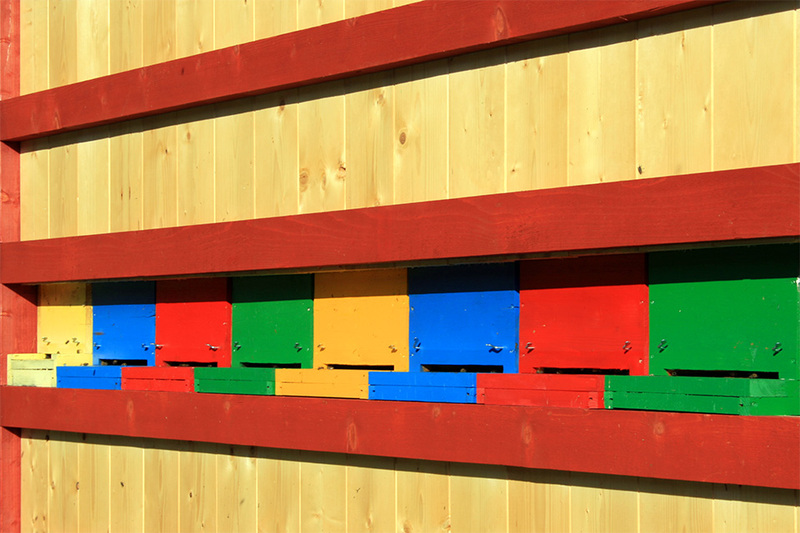 The need for structural bracing structure and functional necessity of supporting our hives have generated the aesthetic motif of the two main facades. 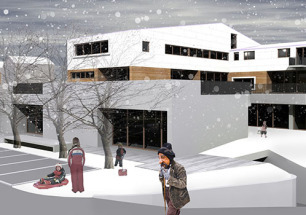 The concept of structure / skeleton and infill / skin of the building is revealed by the two colors of the facades. 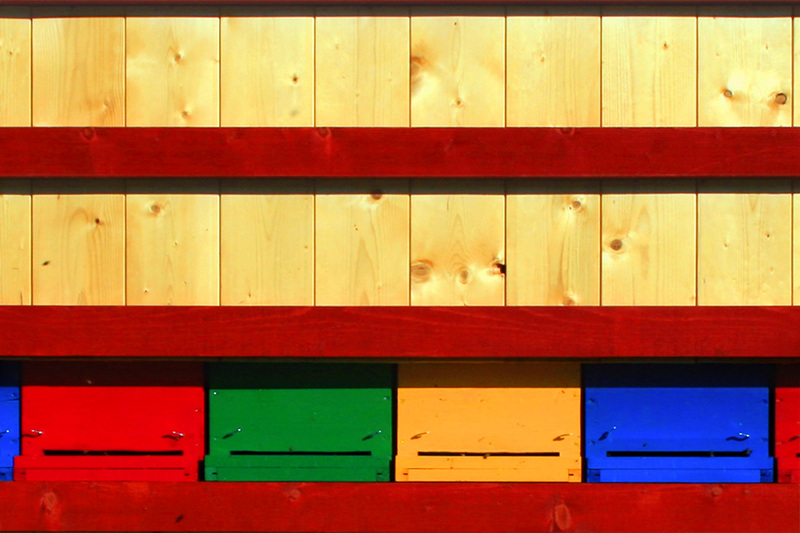 The red color characterizes the structural elements and the wood left natural the wallboard. Red like the alpenglow, the natural phenomenon that colors the peaks of the Dolomites every sunset. The internal volume of Bienenhaus consists of three distinct functional domains, found in three ideals bands parallel. 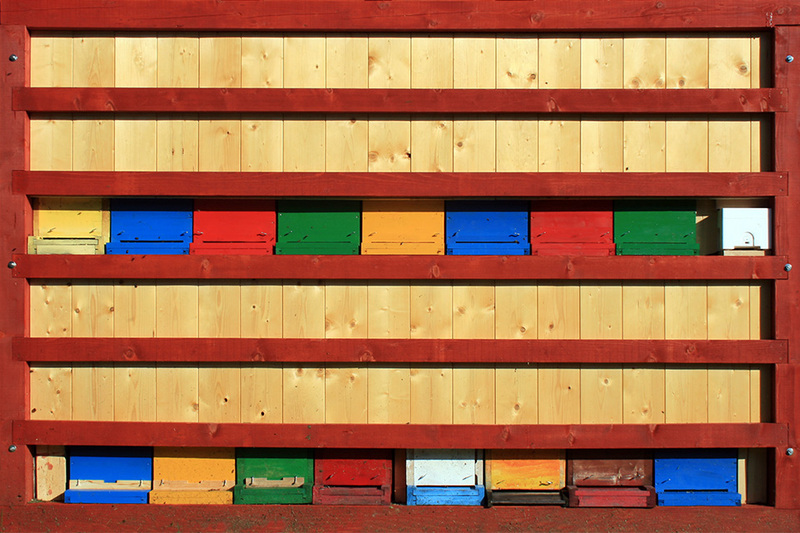 Along the south facade of the hives are placed on two different levels, along the north facade are stored the supers and beekeeping equipment, and finally the middle is the work of the beekeeper during his visits to the apiary. Two doors symmetrically arranged along the lower elevations and masked inside the hanging wooden give access to the workspace. Coverage, slightly inclined to the north, is lightweight and highly dematerialized by the detachment wanted than the sheer volume of the building and by the shadow of overhang. The small building has been designed following the principle of disassembly: in fact, the components are linked together to dry by means of joints, screws and bolts. 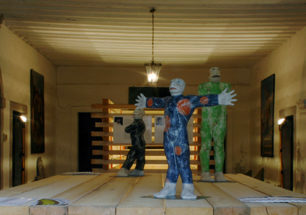 The building consists of eight main parts connected together, which have been designed to have weight and dimensions such as to be easily transported and installed by two people. The project led to the choice of natural materials and or recycled. 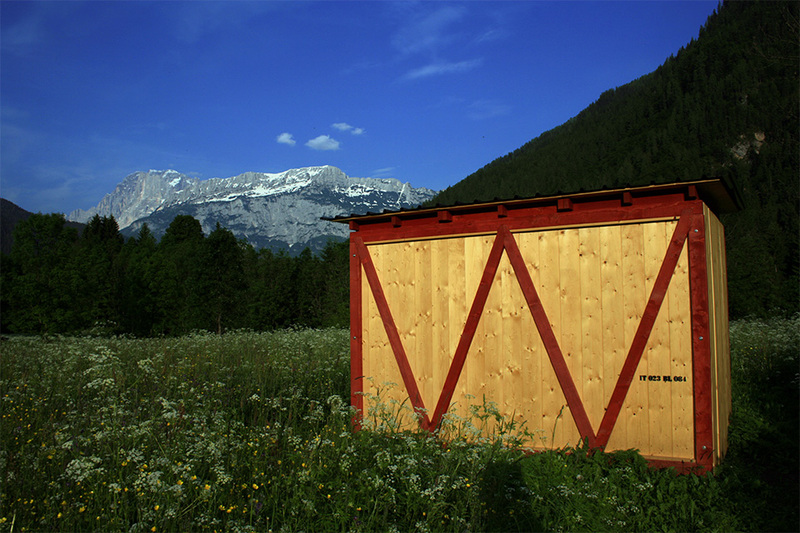 The fir wood frame and curtain walls comes from the local market at zero distance. The roofing corrugated steel aluminum ensures maximum recycling and the maintenance of its performance over time. 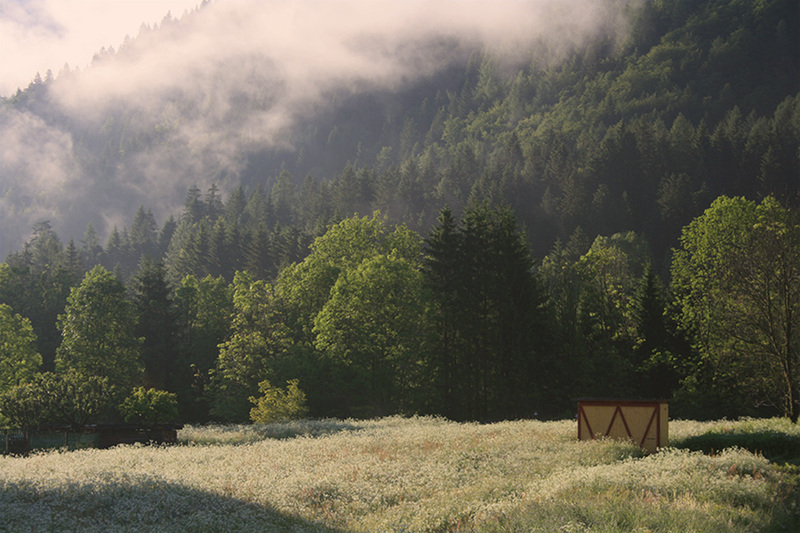 The paints used were chosen to have the least impact on the environment being based on water. The attack on the ground is totally reversible, in fact the foundations consist simply of nine concrete bricks laid slightly recessed into the ground. Strutturalmente ineccepibile, sul colore ho qualche riserva. Salve, ci sono aziende che lo costruiscono a buon prezzo? Congratulations on such an elegantly simple design. Would you be willing to share the construction drawings of this beautiful structure?